Bruce Springsteen, that modern-day Rock and Roll warrior and long-time advocate for hope and human rights, is about to release tommorow from his forthcoming album the first single, titled, “We Take Care Of Our Own,” which will not only have people talking, but also give his fans a long-awaited glimpse of what The Man has been up to for the past year or more. The new album is a departure in a number of ways for Bruce Springsteen. 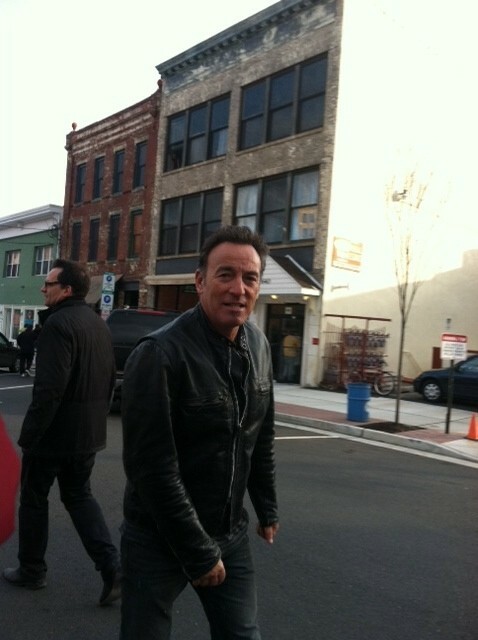 For the past decade plus, Springsteen has worked in the studio either on his own at his home or with producer Brendan O’Brien in Atlanta. But on this new album, Springsteen has collaborated with producer Ron Aniello, who’s worked in the past with such bands as Candlebox and Jars of Clay, as well as with his wife, singer-songwriter Patti Scialfa. According to the RollingStone.com post the new record features members of Springsteen’s E Street Band, as well as “a variety of outside musicians, including Tom Morello and possibly former Pearl Jam drummer Matt Chamberlain” to name just a few. So far there has been nothing confirmed as far as song titles, other than the one track that will be available tomorrow on Amazon.com, “We Take Care Of Our Own.” But you can expect lots of different styles of music on this record and that’s always fun. Rocker Bob Seger got a preview several weeks ago and told reporters that it this LP is unlike anything Springsteen has ever done before. According to another source in the Hollywood Reporter, we can look forward to songs with “unexpected textures – loops, electronic percussion…influences and rhythms from hip-hop to Irish folk rhythms.” Hip-hop and Irish folk rythms!!! That may surprise some, but not anyone who’s paid attention to the broad spectrum of music that Springsteen laid out both in the studio and in concert over the last decade. In fact, it’s long been rumored that Springsteen once worked on a entire “hip-hop record,” so now we’ll finally get to hear what that record might have sounded like. One thing is for sure. This new release by the 61-year old Springsteen will be plenty controversial. 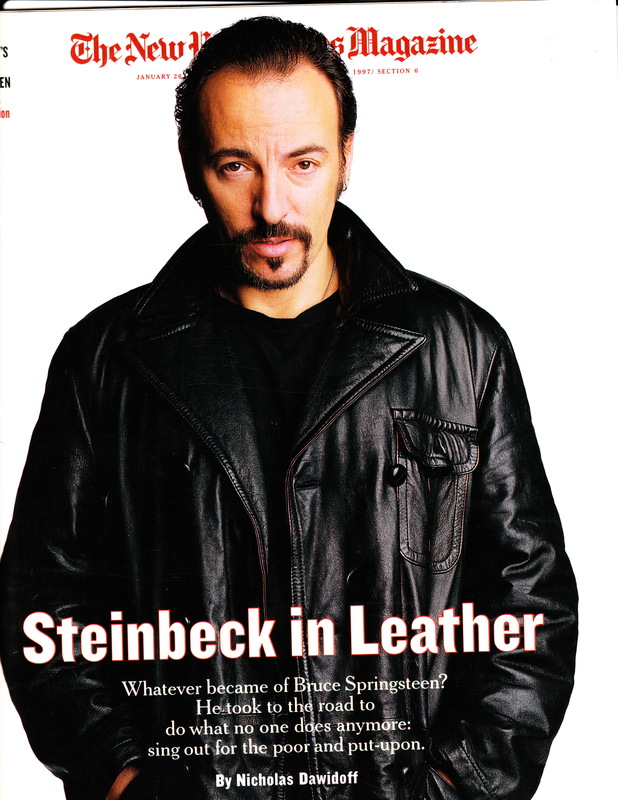 According to that same source in the Hollywood Reporter, Springsteen “gets into economic justice quite a bit.” And in addition to being angry, Jon Laudau also says that the new album has a “very pronounced spiritual dimension.” But none of this should truly surprise anyone who has followed the path that Bruce Springsteen has taken on his records over the last 40 years. While some say that Springsteen shouldn’t have anything to be angry about, with the wealth that he’s accumlated, fans of Springsteen scoff at that and say that what is in this man’s bank account is not about to stop him from speaking out about the issues that matter for this father of three. For many, the album comes just in the knick of time, as the “Occupy Wall Street” protests start to lose some steam. Springsteen has always had a fresh and, for most fans, inspiring take on the wicked ways of the world and he’s never been afraid of expressing how he feels in his music. 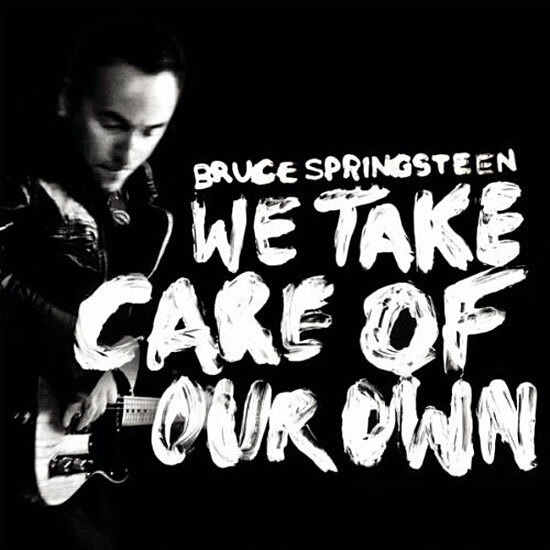 Even the artwork for the song, “We Take Care Of Our Own” has a DIY/Punk look to it. So on the eve of the release of the first round or salvo from an “angry” Bruce Springsteen, I say bring it on. Music has always been an essential part of radicalis and revolutionaries. And if we need a revolution to fix this broken country, then let’s join together and start today. And…um….I don’t know about you, but I could use a little angry rock and roll right about now.